How secure and safe will the Royal Wedding be on 29th April? As Scotland Yard launch a pre-emptive strike against anarchists, a discreet government unit is working behind the scenes to combat dangerous stalkers who have already targeted Prince William and Kate Middleton. Max Pemberton and Neil Tweedie report. Sir Paul Stephenson must be looking forward to next Saturday. Only then will the Commissioner of the Metropolitan Police be able to breathe easily. His is the most onerous of tasks: to ensure that no one, be they terrorist, anarchist or psychotic, succeeds in ruining the royal wedding. Sir Paul, who has made an early return from sick leave to oversee Friday’s security operation, will mobilise 5,000 police officers at an estimated cost of £20 million. In the background is Britain’s intelligence apparatus, monitoring internet and telephone traffic for signs of a plot, and a rapid-response team from the Special Forces. They face a spectrum of threats, from Islamist and Irish terrorism to anti-capitalist protesters. The Met has warned it will take pre-emptive action to counter them, including warnings to specific individuals and arrests. Half a million or more people are expected in central London for the marriage of Prince William and Kate Middleton, and while police are confident that they can maintain security along the route to and from Westminster Abbey, there is plenty of scope for trouble elsewhere in the capital and in other parts of the country. Jihadist groups have threatened to turn April 29 into a “nightmare” – rhetoric probably, but the terrorist threat level in Britain is currently rated “severe”, meaning that an attack is “highly likely”. To counter the threats, central London, including The Mall and Whitehall will be saturated with police, including roof-top marksmen. Police will be able to exercise stop and search powers deriving from counter-terrorist legislation. Things can go badly wrong: the Met suffered severe embarrassment in December when student protesters ambushed a car carrying the Prince of Wales and Duchess of Cornwall. Chanting “off with their heads”, the protesters smashed a window and sprayed paint over the Rolls-Royce. Members of groups planning attacks must talk to each other and are therefore vulnerable to surveillance. But there is another threat, the wild card represented by the lone obsessive. A short walk from Buckingham Palace, a group of psychiatrists, psychologists and police officers are busy trying to counter it. Created in 2007, the Fixated Threat Assessment Centre (FTAC) is responsible for identifying individuals who pose a risk to the Royal family and politicians. The term ''fixated’’ describes a pathologically intense focus on an individual, manifested in repeated unwanted contact with the victim, usually beginning with letters. Funded by the Home Office and the NHS, the FTAC analyses some 10,000 strange, worrying or threatening communications received by the Royal household each year. About half are deemed to be low risk and no further action is taken, but the remainder warrant further investigation. Currently, 40 per cent of the most worrying persistent stalkers in the UK are fixated with the Royal family. 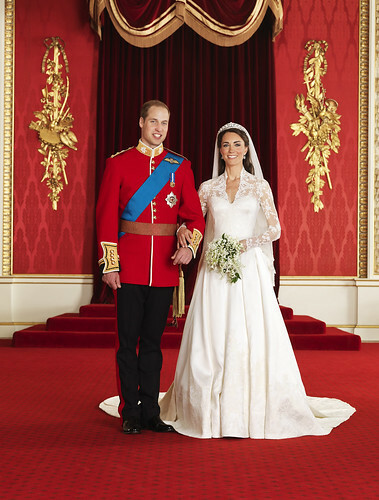 Some believe they are the true heir to the throne or that they are engaged in relationships with members of the Royal family. Take the woman who wrote this to Prince William on Facebook: “prince william plzz listen to me. we r in a great danger. so help me to come out from this lethal situation. plzzzzzz postpone ur marriage & meet me. i want to talk with u abt a very very serious matter”. Another believes she will be the one marrying William. “I can hardly await for us to kiss on Buckingham Palace Balcony and meet your family.” Of the marriage she states: “I will put a stop to this right now.” Dozens of individuals have been identified as fixated with the couple and have been visited by the FTAC ahead of the ceremony, while others live abroad and a number have already been turned back while trying to enter Britain.